Reporters spoke to Dr. Bernard Dreyer, director of the division of developmental-behavioral pediatrics at New York University School of Medicine, and he condemned the practice. This practice is likely due to Operation Streamline, an initiative started at the Department of Homeland Security in 2005 under the George W. Bush administration. The specific point of the policy is to hold mass trials to get through “zero tolerance” deportation proceedings as fast as possible. 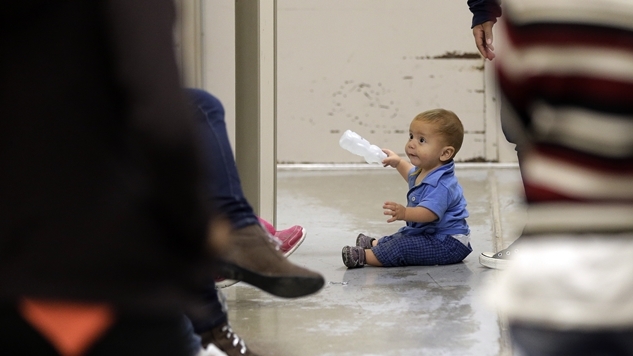 Baby deportation proceedings, child concentration camps, and mass trials. Whatever fairy tales we’ve been taught to tell ourselves over the years paper over the fact that this is America.